In this June 1, 2018, file photo, director Idris Elba attends the 'Yardie' red carpet during the Sundance Film Festival at Picturehouse Central in London, England. For about seven years, there have been rumors that the British 45-year-old Luther and Thor star would succeed Daniel Craig and become the first black actor to play 007. Speculation recently began again, following a U.K. tabloid report, which was later debunked. On Sunday, Elba left fans shaken--and stirred--with a cryptic tweet that may indicate the truth, and may also just be some good old-fashioned trolling. "My name's Elba, Idris Elba," he wrote. 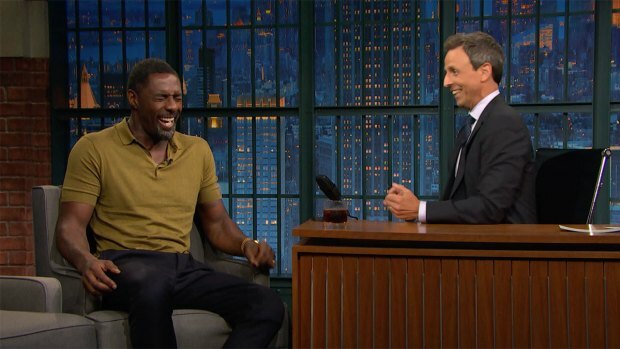 Seth Meyers sits down with Idris Elba, and the two chat about how much of a crush Meyers' mom has on Elba. He later tweeted, "Don't believe the HYPE..." much to fans' disappointment. Elba had said in 2014 that he would "absolutely" accept the role of Bond if it were offered to him. 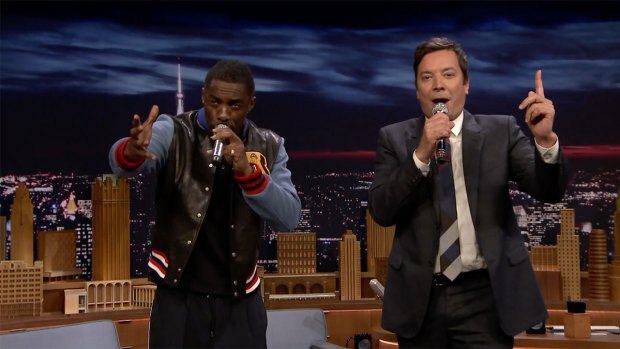 Idris Elba and Jimmy Fallon take turns singing songs, like Boyz II Men's "I'll Make Love to You," after running the lyrics through Google Translate. The casting rumors had reignited earlier this week after U.K. tabloid The Daily Star reported that Antoine Fuqua, who helmed The Equalizer films, had spoken to Bond film producer Barbara Broccoli and that he said she feels it is time for an ethnic minority actor to play the super spy. The report added that the director suggested Elba. Fuqua's rep told Hollywood Reporter that the director never discussed the Bond franchise or casting with the producer. Since 2006, Craig has played 007 in four films and is due to appear in a fifth, the which is set for release in late 2019. The idea of having Elba or another non-white performer play Bond has been met with both praise and criticism. Pierce Brosnan, who played the super spy in four films in the '90s and '00s, said in 2015 that he though Elba would make a good Bond. Rush Limbaugh appeared appalled by the idea. "James Bond is a total concept put together by Ian Fleming. He was white and Scottish. Period. That is who James Bond is," the conservative radio host said in 2014. "But now [they are] suggesting that the next James Bond should be Idris Elba, a black Briton, rather than a white from Scotland. But that's not who James Bond is...I know it's racist to probably point this out." In 2011, Elba told NPR, "I just don't want to be called the first black James Bond. Do you understand what I'm saying? Sean Connery wasn't the Scottish James Bond and Daniel Craig wasn't the blue-eyed James Bond. So if I played him, I don't want to be called the black James Bond."